This year we began our year with a week-long orientation to the NPH Leadership Institute in Seattle, followed by the orientation at Seattle Central Community College. 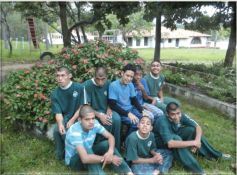 This was a great way to start our year and has allowed the students time to settle in with their families, connect with former NPH volunteers, meet other NPH supporters in the area, learn the bus system and take in their new environment. It has also allowed time to enjoy our unseasonably warm and sunny weather by visiting places such as Lake Washington and Bainbridge Island. Finally, last Saturday we saw Seattle via the famous “Duck Tour”. Our guide even spoke Spanish since he had lived in Guatemala! Now that they are settled in, the students are eager to begin their classes on Monday and we are hurriedly ordering their textbooks and making all the final arrangements! 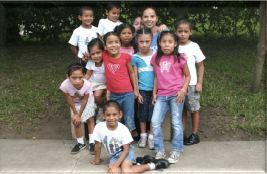 Please hold them in your prayers as they begin this next step in their journey here! Meet the NPH Leadership Institute Class of 2013! All four members of the second class of the NPH Leadership Institute are here in Seattle and ready to begin their year of growth and study. Take a moment to get to know each of them! Celson is currently completing his year of service in agriculture and transportation. Prior to that he completed high school and a professional accounting course. As he looks ahead to the year in Seattle, he hopes to learn more about leadership and improve his English as well as identifying and learning how to overcome difficulties he may face. He even aspires to have the chance to try his abilities at ice-skating! 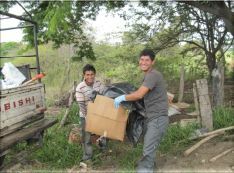 Jacinto is a high school graduate and currently completing his second year of service the NPH home. 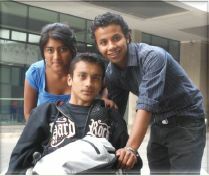 He has been working as caregiver and is currently in charge of the youth leadership group at NPH Guatemala. Jacinto is eager to join the Leadership Institute in order to improve his leadership abilities. He hopes to learn how to overcome the errors and fears that come in any leadership position. On his application for this program Jacinto wrote: “I think the most important leadership qualities in NPH are to be patient, loving, understanding, flexible, keep the feeling of family and above all to place everything we do in God’s hands.” Upon returning to Guatemala, Jacinto hopes to study Systems Engineering. After completing his studies he would like to gain experience in the workforce and then return to NPH to work for the well-being of our children.